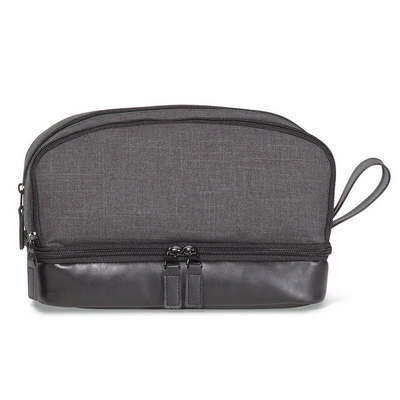 Description: A true mark of style, this amenity case is not only functional with plenty of storage compartments and pockets, but it adds a certain flair to your daily grooming rituals. Size: 28cm W x 19.5cm H x 14cm D. Colours: Charcoal,Black. Decoration Areas: Embroidery | Supacolour | Supasub | Supaetch | Screen Print.